The London course’s “Classique” route takes you on some of the most famous London streets including Strand, The Mall, Constitution Hill, and Birdcage Walk. You ride by Trafalgar Square and Buckingham Palace. When choosing this route option in game you will begin near the main start/finish banner, then ride a short warmup before you turn off for the Classique loop, which you will stay on as long as you wish. 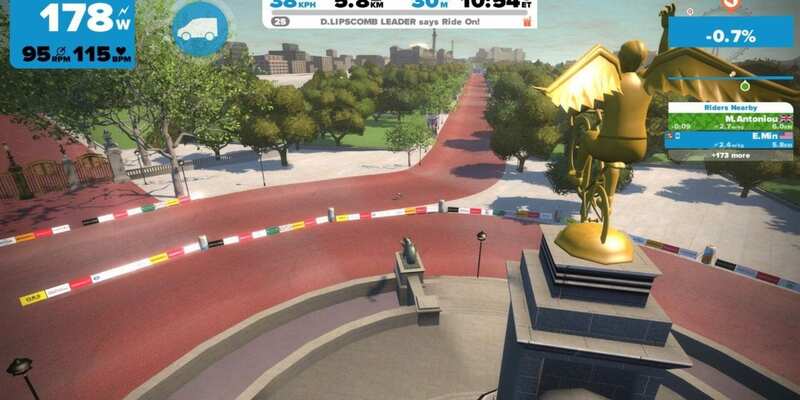 The Strava segments below begin and end at the start/finish banner located on The Mall, not the main start/finish banner where the game starts your ride.